John Edward Brower, another of the early designers, was born in Chicago, December 12, 1859. Before coming to Grand Rapids in 1890, was head designer for John A. Colby. His first connection with the local industry was with the Grand Rapids Chair Company for which concern he designed some very creditable furniture in the Mission Style. 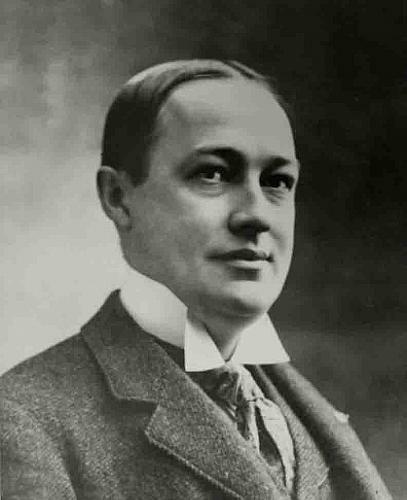 He received his early training in Chicago, where he was in the employ of the Tobey Furniture Company for a season. In 1892 he entered into a partnership with Philip J. Klingman and the late Charles P. Limbert under the firm name of Klingman, Limbert & Brower. Brower’s versatility and thorough mastery of style soon made his creations much sought after by the trade. He was preeminently at the head of his profession for years. His ability to create whole lines carrying the keynote of a single motif throughout has seldom been duplicated. Others may have mastered a style, but Brower created original designs, modulating in turn from Byzantine, Empire, a free Louis XV, Mission, Arts and Crafts, and later his own conception of the modern school. Up to the time of his death, May 21, 1914, his designs never lost their attractiveness, individuality, and punch.